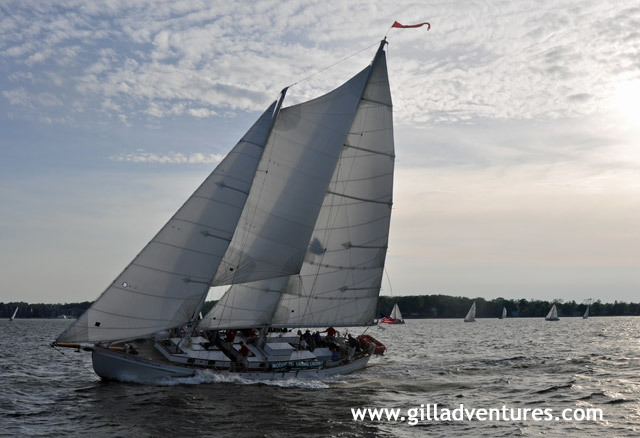 Not your average cruise, this sail was a race between two schooners on Chesapeake Bay during the Wednesday night boat races in Annapolis. Water spray, rail in the water, and scrambling to the high side were the rule. The company is called Woodwind Schooners. Photos were taken with a Nikon D90, and are available in high resolution.